1. Federer's army! 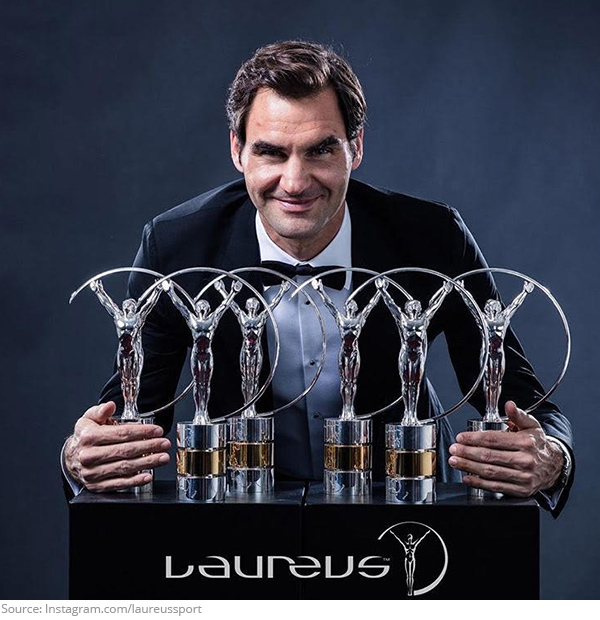 Roger Federer sure has his hands full as the Laureus awards keep on coming! 2. Sealed with a kiss! 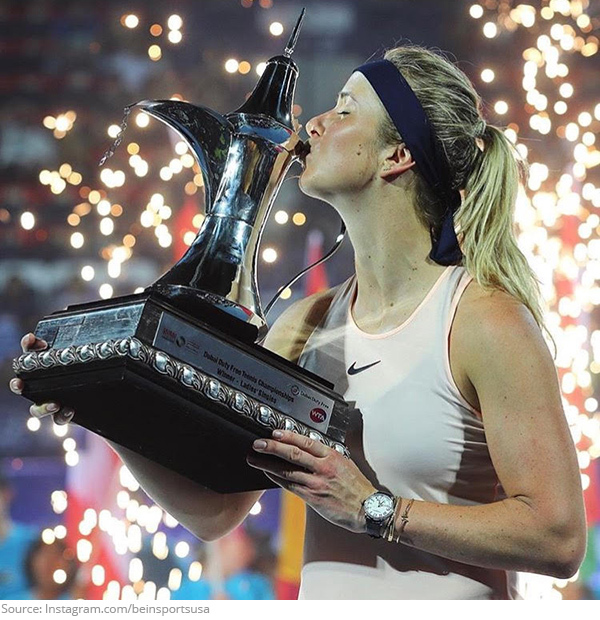 Elina Svitolina poured her heart into her victorious run in Dubai! 3. 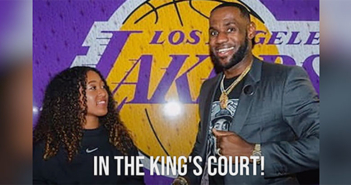 The NextGen is here! 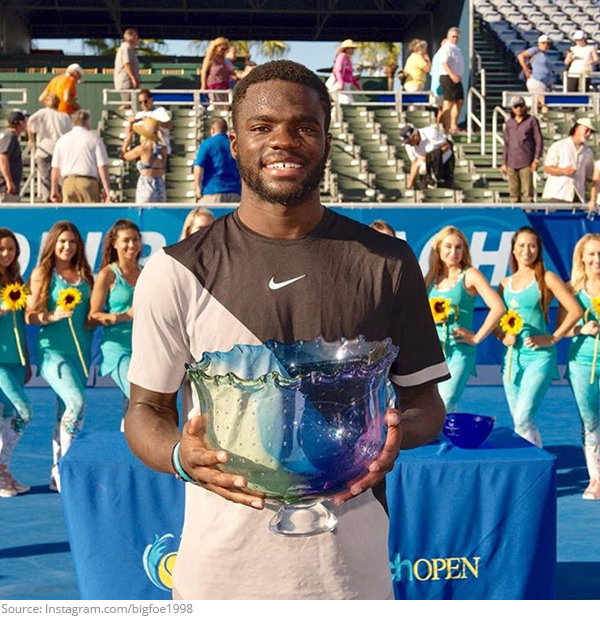 Cheers for American Frances Tiafoe as he scored his first title at the Delray Beach Open! 4. The Battle on Broadway! 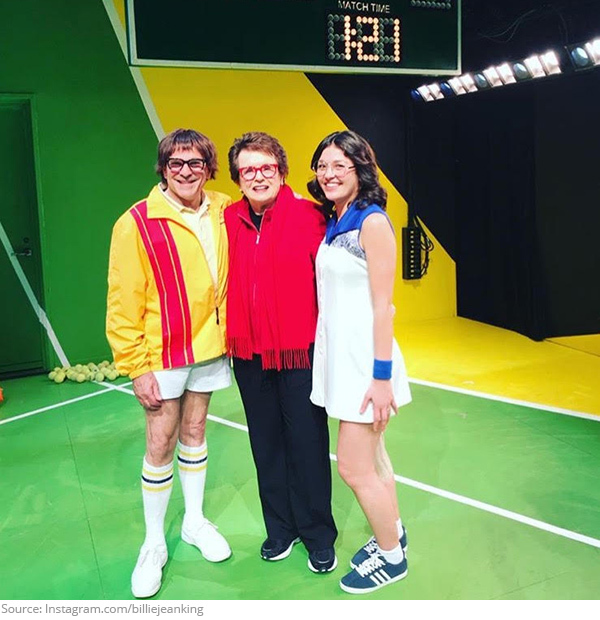 Equality takes center stage as the story of Billie Jean King and Bobby Riggs aces it's way into the New York theater scene! 5. On the right Thiem! 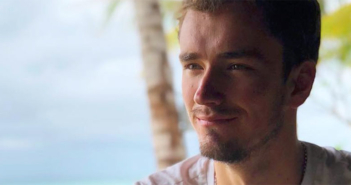 Dominic Thiem is having a ball with girlfriend Kristina Mladenovic! 6. One step at a time! 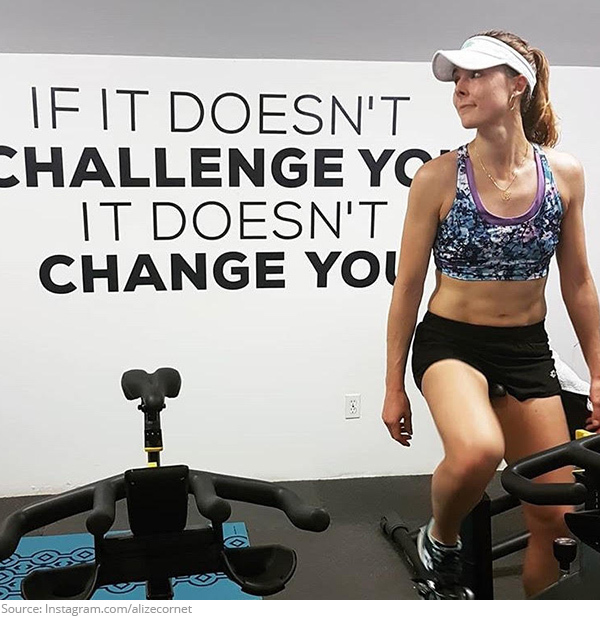 Alize Cornet finds motivation to continue her workout! 7. Hang in there! 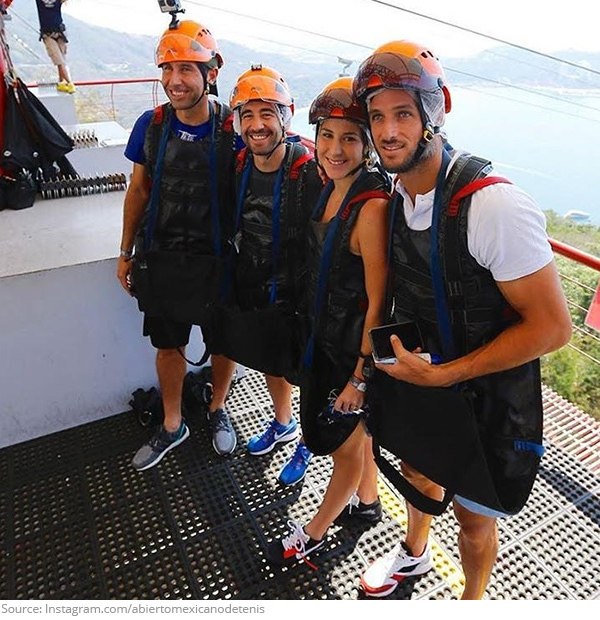 Feliciano Lopez, Belinda Bencic, Marc Lopez and Santiago Gonzalez hang out on line, a zip line that is! 8. Getting in on the hooplah! 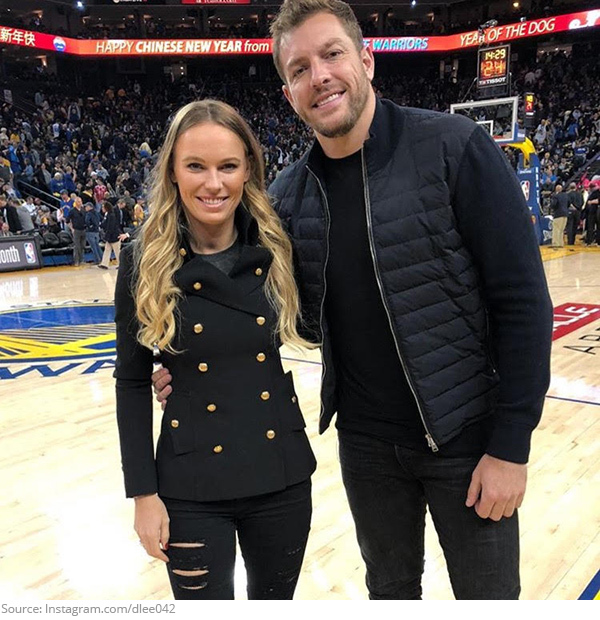 It's a slam dunk for Caroline Wozniacki as she sits courtside at the Warriors game! 9. On the move! 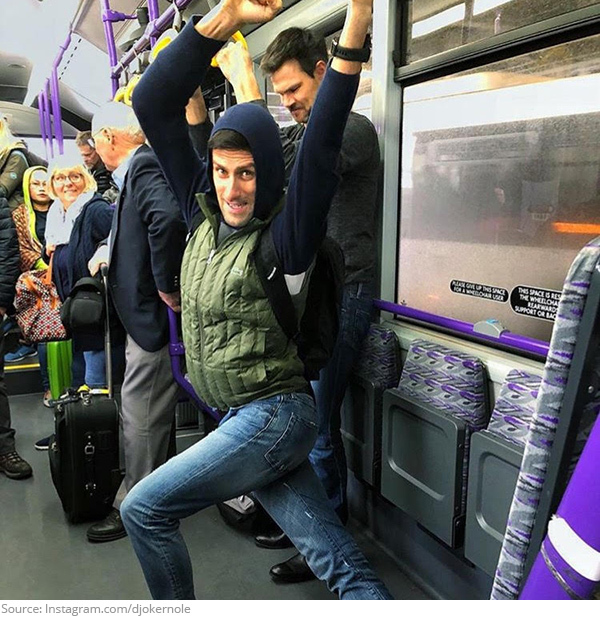 Novak Djokovic is really stretching out his workout routine. It's a whole new way to train! 10. Shoeapova! 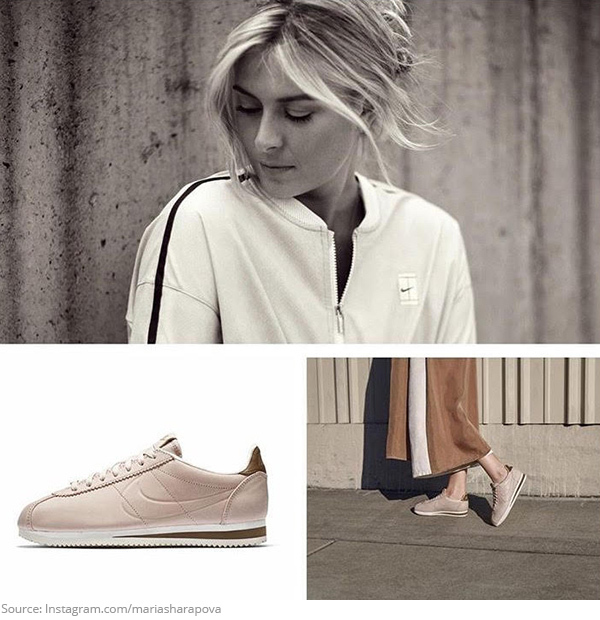 Maria Sharapova has a spring in her step as she releases her own Nike shoe design!